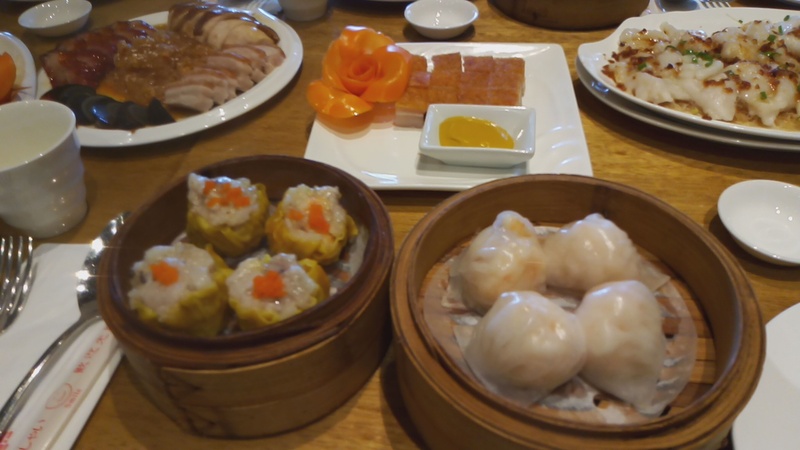 There is a new Chinese restaurant with dim sum at Hemady Square, whose specialty is Hong-Kong style cooking. Yeah Yeah will take you on a culinary journey that evokes familiar tastes and aromas. 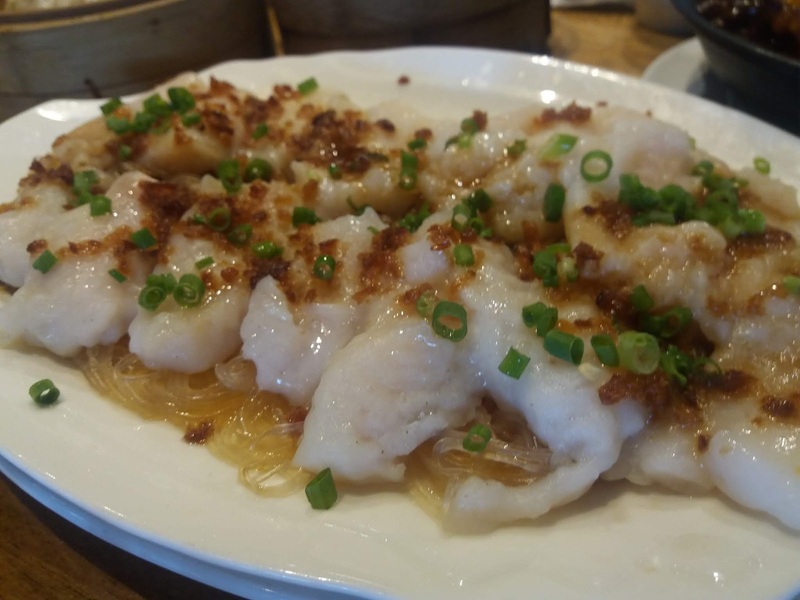 Their in-house chef is from HongKong himself, who is hands on in preparing dishes to ensure its authentic taste and quality of food served. And Chef Zhang Ping Zhuang crafts well-executed dishes, I must say. Cold Cuts Combination (P 650) has Century Egg, Jellyfish, Pork Asado, Chicken and Liempo. It is a great way to perk up your appetite. 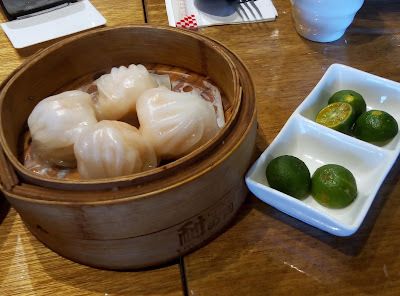 The Crystal Hakaw (P 138/four pieces) was served fresh in a hot bamboo steamer. 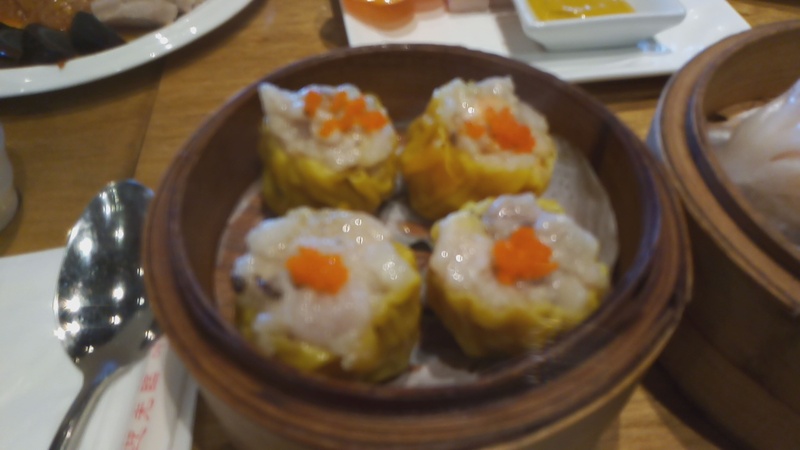 The shrimps wrapped in a thin translucent dough were refreshing. Crab Roe Sio Mai (P 120/four pieces) comes in generous size packed with umami flavor. 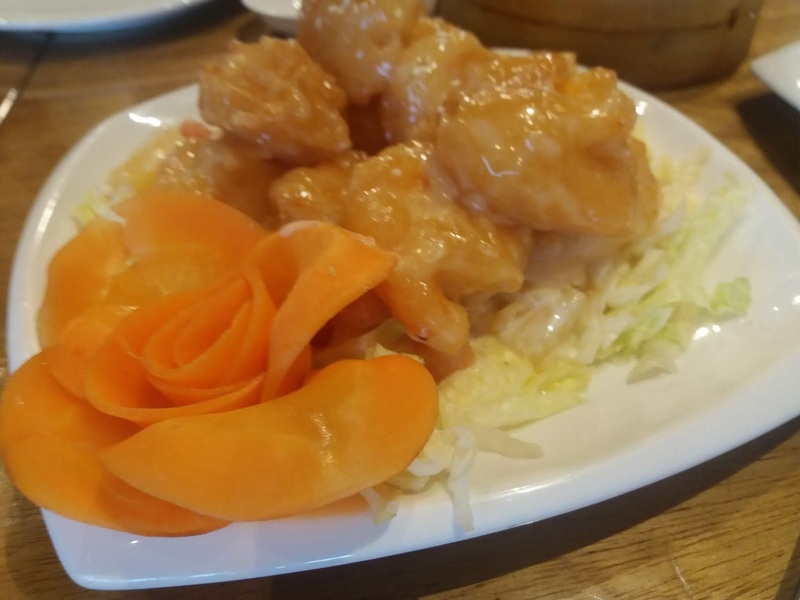 Hot Prawn Salad is something you shouldn't miss out. 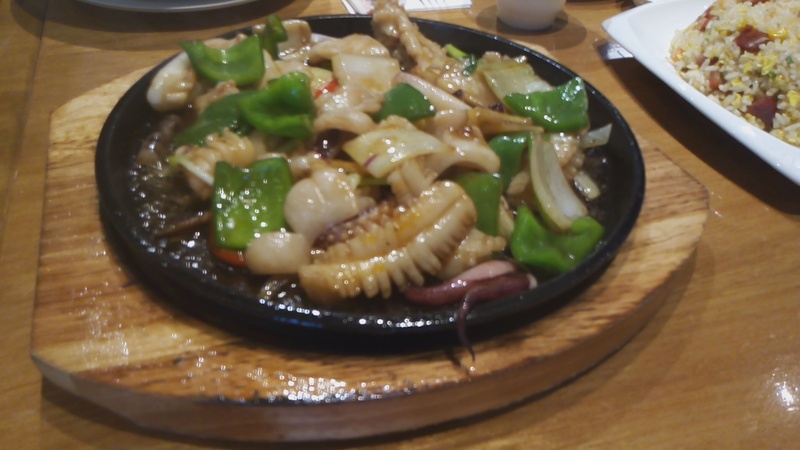 I am partial to Hakaw (it is my favorite), but I find this dish even better! Prawns are wrapped and fried to perfection! The semi-sweet drizzle over the fritters works well with the cabbage salad. 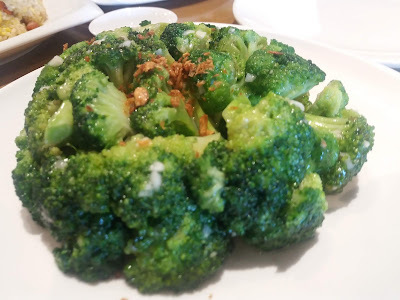 I love its sweet and savory, soft and crispy combinations. These crowd-pleasing delicacies are enough to start a casual dining experience. Sizzling Squid With Ginger Onion (P 370) are thick slices that are still surprisingly tender, with fresh ginger and onion. 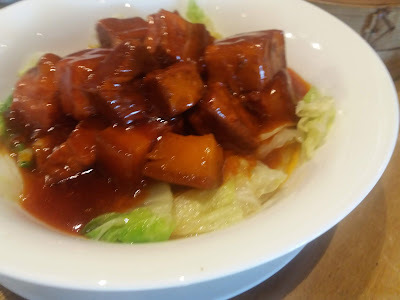 Braised Beef Brisket in Pot is a popular are in Hongkong. Choice beef cuts are stewed in pots of sauce until they're tender and soaked with juicy goodness. Beef Brisket Noodle Soup is another way to enjoy it. Beef brisket is cooked in a clear broth instead and served with noodles and bokchoy. 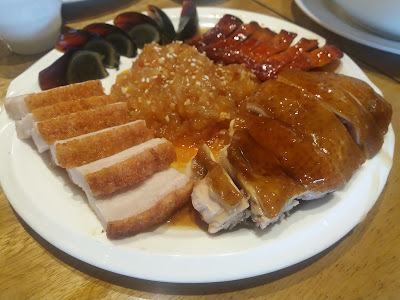 Aside from Broccoli with Garlic, I also enjoyed Lechon Macau and Soy Chicken. I highly recommend that you indulge in these. And since most families prefer buffets these days, you can take advantage of Yeah Yeah Chinese Cuisine's lunch and dinner buffet offering for the whole month of April. 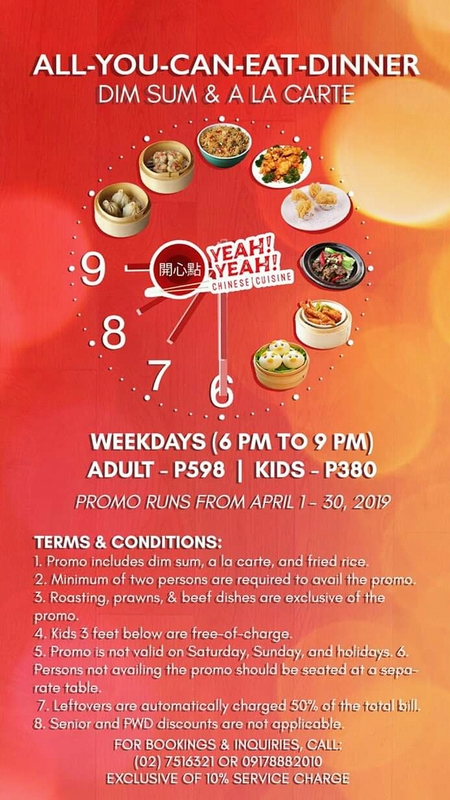 Doing so allows you to have more of your food favorites and try out Yeah Yeah’s mouthwatering HongKong-style specialties starting at P380 per head.